Are you ready to upgrade the quality of hot water in your home? You’ve come to the right place. 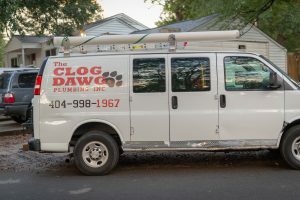 The Clog Dawg has been taking care of North Atlanta and Cobb County’s tankless water heater issues for years. Tankless water heaters are far superior to traditional tanked water heater systems due to their unlimited hot water supply, reduced energy usage, and longer lifespan. 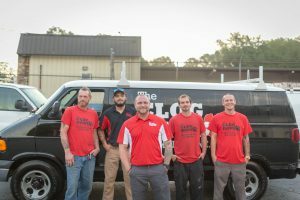 If you’re interested in a tankless water heater for your home or business, call The Clog Dawg to learn more. This is an upgrade that will not leave you disappointed. For more information on a tankless water heater, call 404-998-1967 now, or request info here. Unlimited hot water. Forget about cold showers because your in-laws used all your water supply. With an appropriate tankless water heater system, you’ll have ample hot water for both your in-laws, your laundry, your dishwasher, and even fill your jacuzzi. Once you have this freedom, you’ll wonder how you ever lived without it. Reduced energy usage. Because you’ll only be producing hot water when you’re actually needing hot water (rather than storing dozens of gallons of water at a time), you’ll have lower energy bill. Money saved, and better for the environment! 2x the life. Most tanked water heaters have a life span of about 10 years. On the other hand, many tankless water heater systems can be expected to run for 20 years or more. You’ll gain an extra closet. Ok, maybe not really. But you’ll be saving a ton of space by switch from a tanked water heater to a tankless water heater. Many tankless water heater systems are the size of a large backpack. With all that extra room, you’ll have more space to store things you actually care about. Rebates & incentives. Because tankless water heaters use less energy, there are always incentives and rebates for switching over. 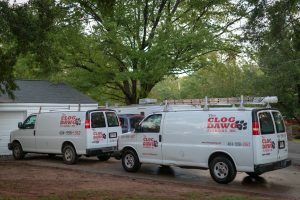 Ask The Clog Dawg about what options are available to you at the moment. Looking for information on traditional tanked water heater systems instead? 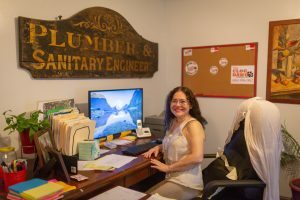 Click here to learn more about Atlanta’s water heater specialists. Have a tankless water heater question in the Atlanta Metro or Cobb County?